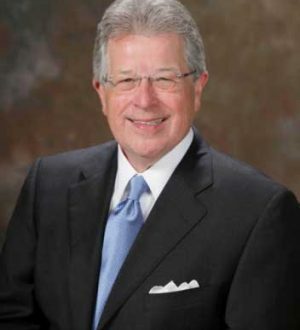 Flip Phillips is a founding partner of Smith, Phillips, Mitchell, Scott & Nowak, LLP. He is a graduate of the University of Mississippi School of Law where he served as President of the Law School Student Body and Member of the Mississippi Law Journal. For over 40 years, Flip has represented plaintiffs and insurance policyholders nationwide. Flip’s landmark cases have helped abolish sovereign immunity and define the rules of automobile insurance in Mississippi. They have expanded the role of punitive and extra-contractual damages in personal injury litigation insurance regulation and contract enforcement throughout the United States. A pioneer in the field of 21st Century civil litigation, Flip has served as Lead Class Counsel, Co-Lead Counsel and member of the Plaintiffs Steering Committees in nationwide class actions and Multi-District Litigation throughout the nation. His cases have involved life insurance deceptive sales practices, interest crediting practices, supplemental health insurance, cancer insurance, institutional investment and financial products, and personal injury/defective products cases. Flip’s multi-million dollar jury verdicts in individual cases have been recognized in the National Law Journals “Top 100” verdicts; the Wall Street Journal, LawyersUSA, and the Canadian Press. He is a prolific author and frequent lecturer, presenting papers from coast to coast for ALI-ABA, ACI, American Inns of Court, multiple Bar Associations, and professional organizations as diverse as the American Association for Justice (AAJ), National Association of Consumer Advocates (NACA) and even the Defense Research Institute (DRI). Born in 1947, Flip is a native of North Mississippi. Flip and his wife Vera, also a University of Mississippi graduate, are the parents of three children and six grandchildren.